They want to run this quantitative tightening in small increments and pretend nothing’s happening. But that’s nonsense. The Epoch Times: If it does, the stock market will probably correct, and you recommend people buy a small allocation in physical gold to insure themselves against this outcome. Mr. Rickards: If the economy weakens, as I expect it will, and you see the stock market correct and inflation go down, the Fed’s going to have to flip-flop for the ninth time since May 2013. Once they send out the signal, they are going to throw in the towel, at least temporarily. They’re not going to raise rates. You take the rate hike expectations out of the market that looks inflationary at the margin, and that’s very bullish for gold. So I look for gold to have a very strong second half. The Epoch Times: You also talk about price manipulation and that the ultimate price potential for gold may only be realized in the long term. Mr. Rickards: Every five, six, seven years, financial crises happen. It’s been eight years since the last one. How long do you think we’re going to go? So that is a catalyst for much higher gold prices. Rickards expects a crisis of confidence in the dollar at some point in the near future. The Epoch Times: What about the electronic currency bitcoin? Mr. Rickards: Dollars, euros, yuan, gold, and bitcoin are five different kinds of money, but they’re not investments. They’re money. If I buy stock in a company, I can look at management, I can look at earnings, I can look at a whole bunch of things to come up with an evaluation. That’s an investment. But bitcoin is not an asset class. It’s not an investment. It’s just money. If I buy bitcoin, I’m swapping one kind of money for another. So when you see bitcoin go from $1,000 to $2,000 or $3,000, what’s happening? If one bitcoin is my unit of measurement, then the dollar is going down. So one possibility is that people are losing confidence in the dollar. Is there any other evidence for that? If people are losing confidence in the dollar, it would be reflected in a lot of places. Gold would be going up. Oil would be going up. Real estate would be going up. Except that what we have is bitcoin going up and everything else not. Gold’s up a little, but you know all these things go up a little bit, not by a lot. Bitcoin’s the only one that’s going up a lot. So that tells you empirically that this is not a generalized loss of confidence in the dollar or the euro and other currencies. I think that will come, but we’re not there yet. So if that’s not the explanation, what is? One is the greater fool theory, which is, “I’ll pay $2,000 for bitcoin because I think there’s some sucker who will pay me $3,000.” And that guy says, “Well, I’ll pay $3,000 for a bitcoin because of some sucker that will pay me $4,000.” That’s called the greater fool theory. That works until it doesn’t. There comes a time when you’re the sucker—as the old joke goes, if you’re in a poker game and you don’t know who the sucker is, you’re the sucker. 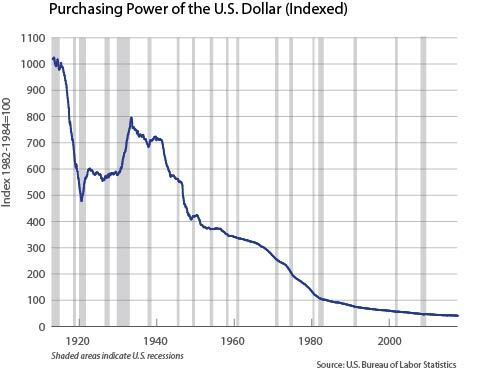 There is no evidence that there’s a general collapse in the dollar. I expect that will happen for other reasons at a different time, but not yet. 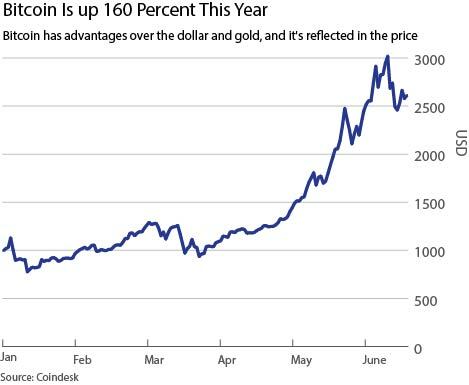 Bitcoin looks like a bubble.